Oil India Limited, Duliajan, Assam intends to engage Field Chemists on contract basis for its operations in Rajasthan purely for the temporary requirement. The contract would be for a minimum period of six months, extendable by another six months term, for a maximum period of one year depending upon the requirement and the performance of the individual. 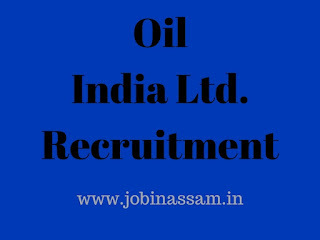 Please read this article till the end to know details eligibility criteria, application process and selection process for the Oil India job. Interested candidates should attend the Interview on 27/09/2017 at 9.00 to 10.30 am at Oil India Limited, Rajasthan Project 2A Saraswati Nagar, District Shopping Centre, Basni, Jodhpur - 342005.